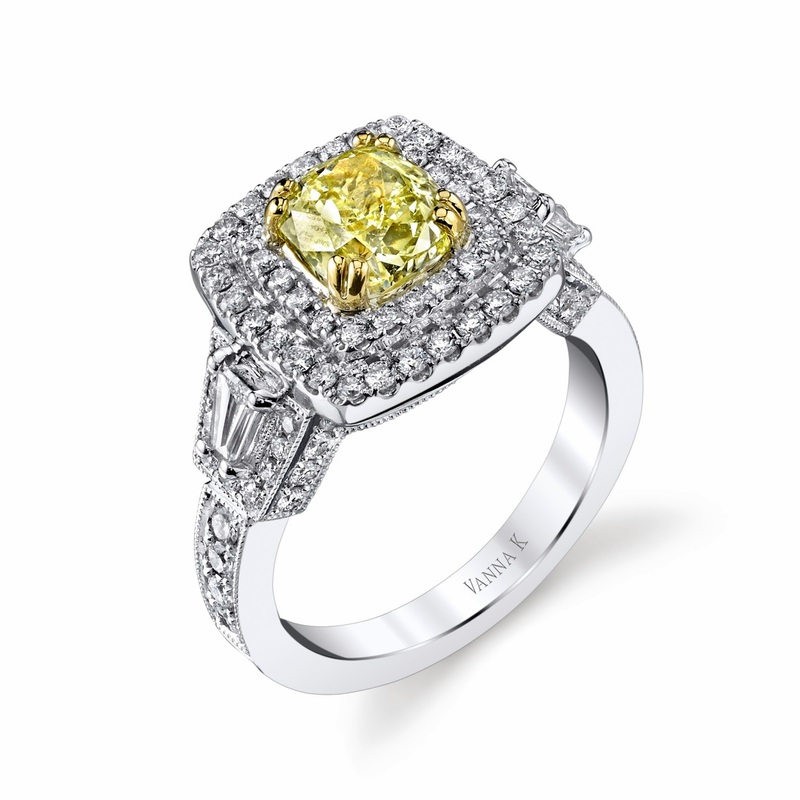 The ring seen here, accented with tapered diamond baguettes, is intricately crafted with perfect proportions. Featuring a crown double halo with a milgrained frame of beadset diamonds, Vanna K's signature marriage of stunning jewels and extraordinary craftsmanship is exquisitely on display. Soleamore® will be introduced at this year's American Gem Society's annual Conclave & Jewelry Fashion Show. The 2014 show will be held in San Diego at the historic Hotel del Coronado April 23rd - 26th. This is where American Gem Society Retailers will get the exclusive first look at this amazing collection! Vanna K is a proud member of the American Gem Society, an organization that holds fine jewelers accountable to a set of standards so high that less than 5% of all jewelry stores in the United States qualify as members. We are thankful for the work that they do and are excited to be able to share this unveiling with them!